Perth, Aug 11, 2011 (Global Fashion Wire) - The Third International Conference of Fashion Incubators will be held at the Parmelia Hilton in Perth, Western Australia from the 11th until the 13th of September 2011, and Perth Fashion Week is now confirmed as an event partner. 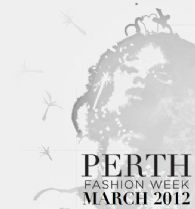 The first inaugural Perth Fashion Week will take place in Perth during March 2012 and will attract buyers, media, models, designers & the fashion savvy, providing a dynamic array of opportunities to network & engage with the art of fashion. Former Model / Fashion Designer / Stylist Sylvia Giacci is Director of Perth Fashion Week, and said, "We are proud to partner and work with the Textile Clothing Footwear Resource Centre of WA (TCFWA) on their International event. Both organisations support those in the fashion trade business, and the alignment of our events and audience is great." Conference Convenor of the Third International Conference of Fashion Incubators Carol Hanlon said, "Sylvia Giacci and her team will bring knowledge, experience, imagination and creativity into our event. She will be organising our various fashion parades, and assisting with marketing and PR of the Conference". The 3rd International Conference of Fashion Incubators will offer new opportunities for fashion business educators and fashion trade events from around the globe to network, discuss best practice and expand global designer marketing and promotional opportunities. The Conference will aim to build on past successful conferences of International Fashion Incubators held in UK and USA. It will assist the growth and development of fashion industry business educators and those that nurture and support emerging designers, as well as elevating Perth on the international fashion stage. The event will present challenging speakers at the forefront of the industry as well as a range of practitioners willing to share their experiences and expertise, exhibitors and great opportunities for global networking. The Conference will also host Official Launch of the International Fashion Incubator Organisation.